MIAMI, Fla. /Florida Newswire/ — Aclaro, a leading provider in blockchain-based open platform solutions, recently released its latest A.I. solution. The new tool, Aclaro TrueView is designed to provide automotive and other lenders with a competitive advantage through robust features that save them time, money, and facilitate better lending decisions. Aclaro TrueView is based on technology found in Aclaro’s previous Know Your Patient (KYP) healthcare app. With this Artificial Intelligence (AI) technology, lenders can now learn more about their prospects than ever before. When a prospect applies for a loan, TrueView takes an unbiased look at the entire financial history of the prospect along with patterns and behaviors that could affect their overall risk score. With TrueView, lenders can follow the prospect’s entire financial history, including their patterns of repayment, their existing loans, with a final risk assessment to provide the lender with the data they need to make a well-informed, data-backed decision. Like all Aclaro tools, TrueView is backed by reliable blockchain technology that automatically detects changes in the data without altering the existing code, saving countless hours and troubleshooting efforts. Aclaro TrueView is meant for Non Major Prime and Subprime Lenders that need to reduce their risk through better decision-making. Based in Miami, Florida, Aclaro specializes in providing small and medium-sized businesses with Blockchain and Artificial Intelligence Technology. With these tools, companies can better optimize their customer experience, make better decisions, and experience improvements in efficiency along with cost savings. Visit aclaro.io to learn more about the company and their innovative business solutions. 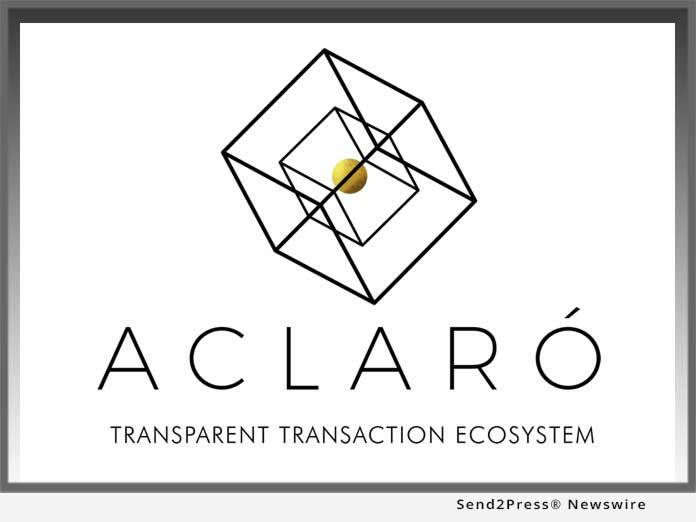 If you would like to see their products in use, contact the support team at +1-833-2ACLARO or visit: https://aclaro.io/.